A patient of a Moscow dental clinic engraved silhouettes of Donald Trump and Vladimir Putin on his teeth. Moscow dental clinic engraves leaders’ silhouettes on patient’s teeth. Trump and Putin are scheduled to have their first phone conversation on Saturday, Jan. 28, but the dialogue has been immortalized already. 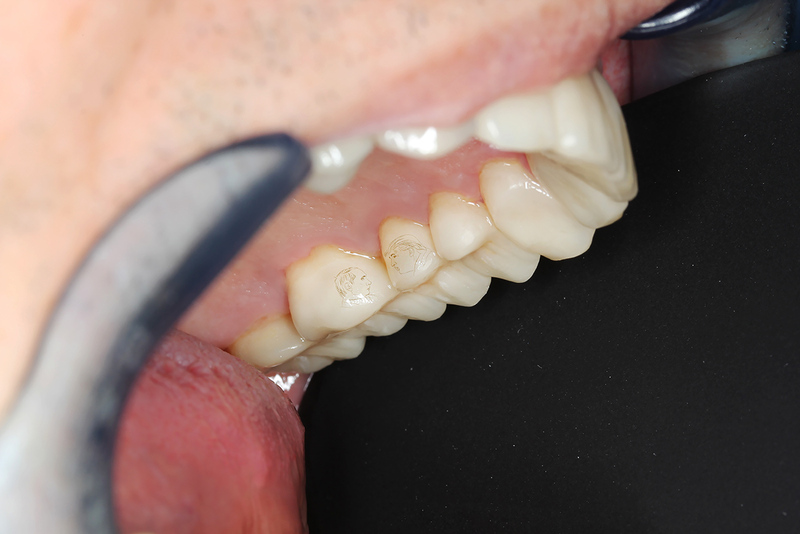 The picture’s author, dentist Lev Levchenko, wrote in his blogpost that the engraving was done on ceramic. The artist first made the engraving with a fine brush, and then baked it in a dental oven and covered the material with a layer of dental transparent glaze. The cost of a single crown begins at 1000 euros, the doctor wrote.